If you woke up this morning, scrolled through Twitter, saw the cast announcement for the live-action remake of Disney’s The Lion King and literally screamed, you are not alone. In fact, you’re far from it. Disney dropped a significant portion of the cast, which was almost immediately shared by Beyoncé because she’s going to be playing Nala, and OMG, I can’t breathe. The internet pretty much immediately melted down upon getting this news, which is understandable, because Bey is perfect for this part, but also kind of beyond-our-wildest-hopes-and-dreams-level perfect. Yet she’s doing it. And Beyoncé is far from the only exciting part of this cast, which is dominated by people of color. 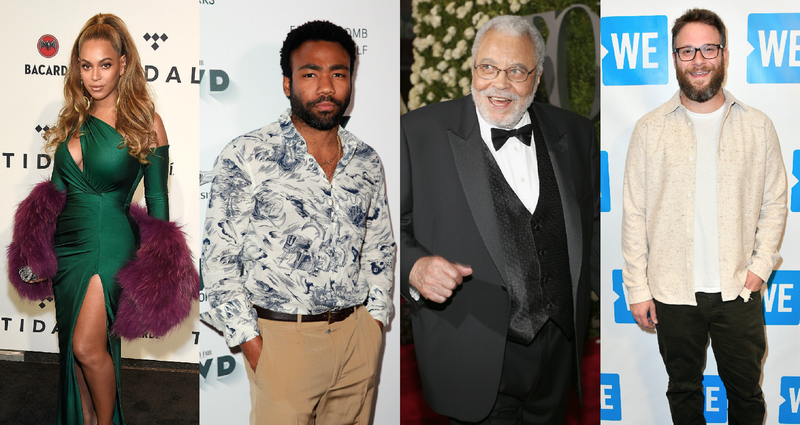 Donald Glover will play Simba, and James Earl Jones is the reprising his role, Mufasa, from the 1994 animated film. The absolutely legendary John Kani will be Rafiki. John Oliver is the perfect Zazu we never even would have thought of. Billy Eichner and Seth Rogen will also team up as Timon and Pumbaa. Guys, the star power in this cast is 15/10. I don’t even know how to convey how happy I am in words, and it’s literally what I do for a living. Obviously, people are stoked. There is no acceptable reaction other than utter excitement. The new #LionKing casting is absurdly glorious. @Disney good job. A+ all around. Elle reports the new movie will use CGI and green screens, much like the live-action remake of The Jungle Book — the two films share director Jon Favreau. Hans Zimmer is set to score the new film; he wrote much of the score of the animated original. Now all we have to do is wait two freaking years. Ugh, how are we going to make it?